Available enhanced park assist uses ultrasonic sensors to help Lincoln MKZ seamlessly steer itself into a parallel or perpendicular parking spot. The car can assist with park-out as needed . Pre-Collision Assist with Pedestrian Detection is an available technology that can help avoid some frontal crashes , or lessen the severity of such events. 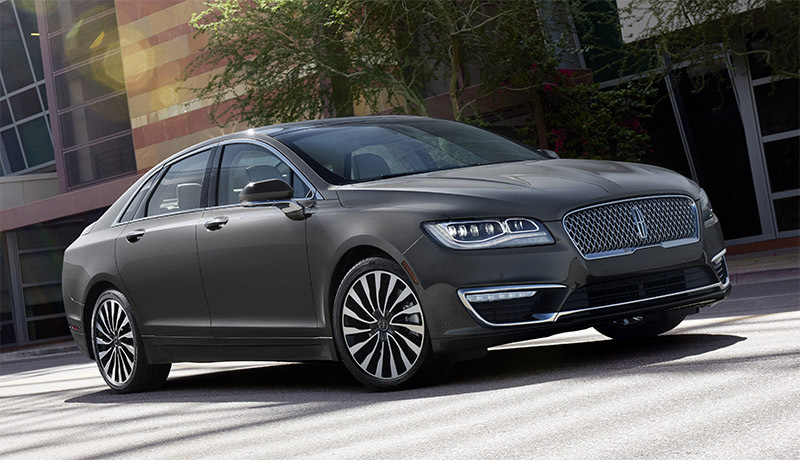 An all-new, Lincoln-exclusive 3.0-liter GTDI V6 leads available engine choices for the new Lincoln MKZ. When paired with an intelligent all-wheel-drive system, the twin-turbocharged engine produces 400 horsepower and 400 lb.-ft. of torque [2,3] for effortless performance and refinement. 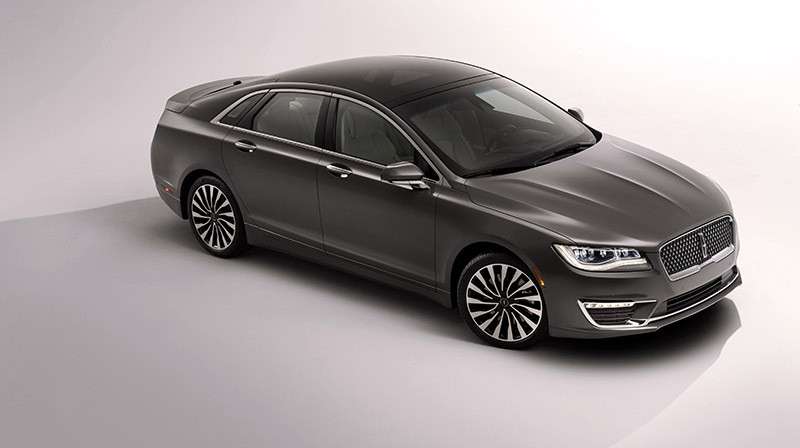 Dynamic Torque Vectoring , part of an available Driver’s Package for MKZ with the 3.0-liter engine, enhances cornering agility without compromising ride comfort, helping drivers enjoy a smooth, seamless experience. The new Lincoln MKZ provides a hybrid alternative as well; and a 2.0-liter GTDI, 245-horsepower  four-cylinder engine with front-wheel drive. Available Lincoln Drive Control allows drivers to adjust among three drive modes – comfort, normal and sport. The system includes continuously controlled damping, and electric power-assisted steering to provide comfortable, confident handling. The Driver’s Package for Lincoln MKZ with 3.0-liter V6 also includes 19-inch wheels, Ebony-painted calipers, light Magnetic-painted grille, Ebony interior with carbon fiber appliqués, customizable multi-contour seats and aluminum pedal covers. In addition, the package features retuned continuously controlled damping and suspension for enhanced driving dynamics.